Umoja is a Kiswahili word meaning unity and focusing on the importance of togetherness among family and among members of a community. Sakhu is a Kemetic term describing the study of the illumination of the human spirit. Umoja-Sakhu is a community of learners seeking to illuminate and touch the spirit. 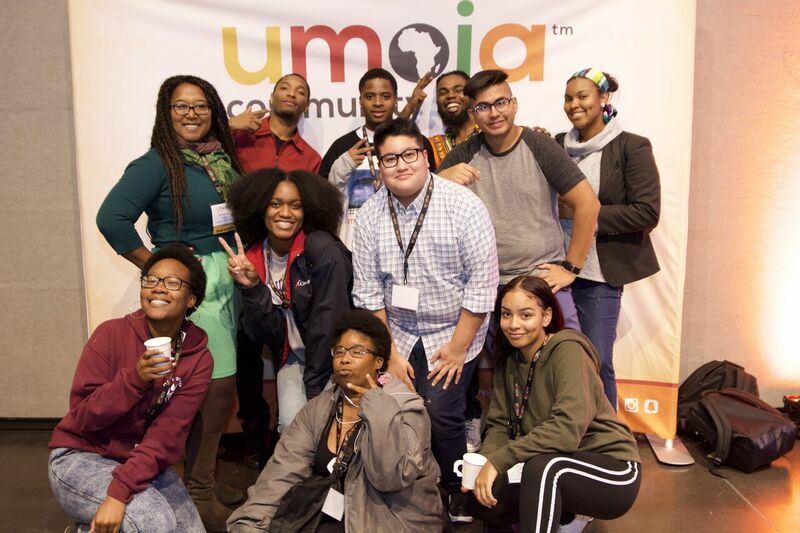 Why join the Umoja-Sakhu Community? The Umoja-Sakhu Learning Community (USLC) at American River College is open to all students and is specifically designed to increase the retention and success rate as well as the graduation and transfer rates of African ancestry students.With emphasis on topics relevant to the African American experience, the curriculum focuses on improving reading, writing, self-discipline and critical thinking skills. 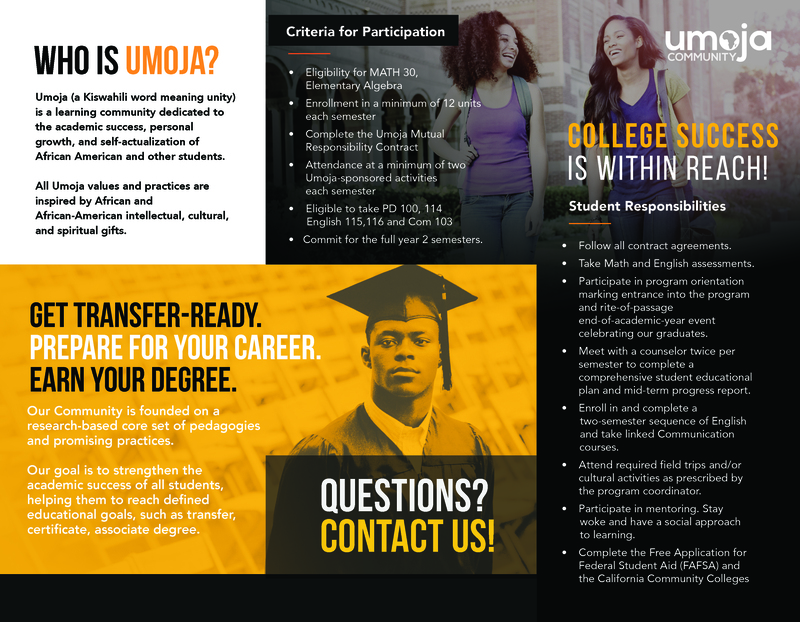 Program counselors also provide assistance with the personal issues that often hinder African American students in an educational setting.The Umoja-Sakhu motto is to be "intentional and deliberate" in providing students with a variety of tools and resources which help them in achieving their goals. Instructors, counselors and program staff also use community building strategies to enhance students' learning potential.